The Terra Guests Condominium is located in a quiet, residential neighborhood across from San Francisco Square. The place is privileged with many trees, birds, marmosets and squirrels. 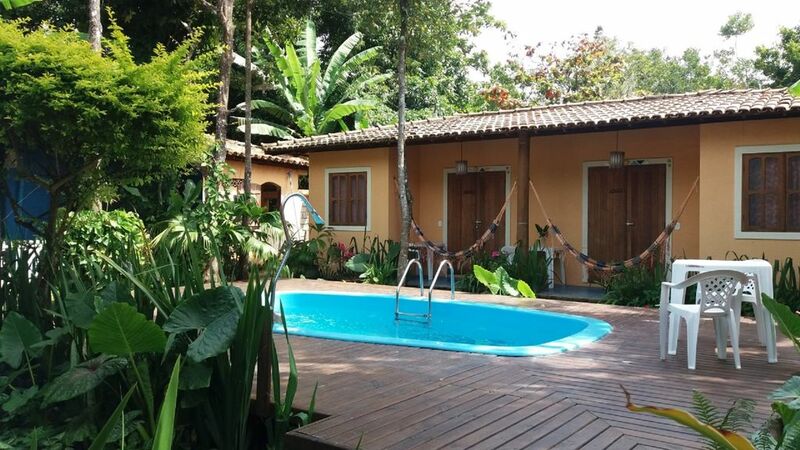 The Pantanal Suite is in front of the swimming pool. It has 1 double bed, 1 single bed, bathroom, split air conditioning, ceiling fan, minibar, TV and balcony with hammock. Accommodates 3 people. Plenty of parking in front of the condo. The distance from the center is 800m and 1500m from the beaches of the Mucuge and the Fishermen. The Ecopark is 1500m away.